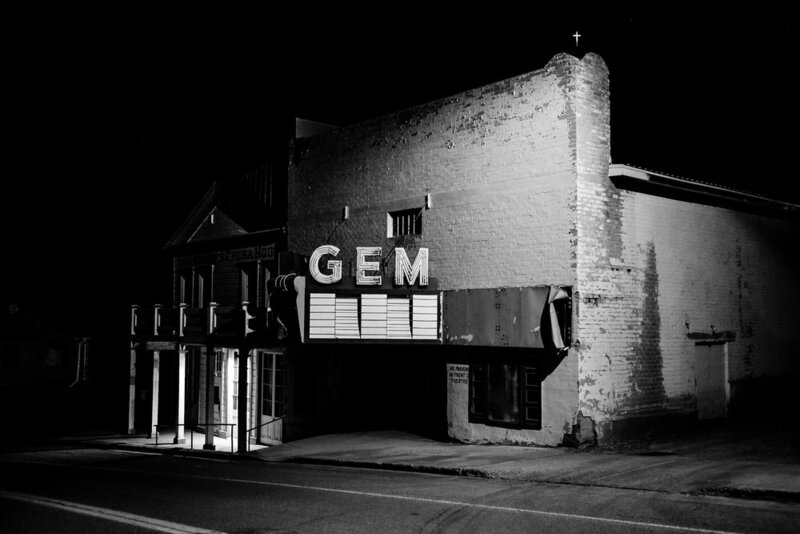 This is the Gem Theater in Pioche, NV. Pioche a small mining town that had about 27,000 residence in the 1920's but is home to only about 900 residents today. The roof of the theater collapsed in 2002 due to a severe wind storm and is still in ruins.